We all want to save money, especially when it comes to our utility bills. Making sure that your HVAC settings are ideal can make a huge difference in your comfort, as well as save money on your energy bills. When you make smart choices, you can easily save cash! During the cold weather months, it is imperative that you adjust your thermostat properly. Those summer settings will not be as efficient during the winter months, and vice versa. You need to make the proper adjustments to the settings, and using a programmable thermostat can help. With these types of thermostats, you can use energy-efficient settings that can properly heat or cool your home when you are awake, asleep or away. While using a programmable thermostat can certainly help your HVAC system run efficiently, using different settings during the separate seasons will also help save money. During the summer, the Enviromental Protection Agency considers 78 degrees as the most efficient temperature setting. Statistics show that each degree over 78 degrees can save up to 8% off your energy bill. When you are away from home, you should adjust your system for a higher temperature. For example, if you will be out of your home for four hours or longer, set your thermostat to have the cooling system come on only if the temperature reaches 88 degrees. In the winter, 68 degrees is ideal for those times you are awake and at home, with a lower setting when you are asleep or away from home. The website Energy.gov indicates that by lowering your thermostat by 10 to 15 degrees for eight hours a day, you can cut your energy usage by five to 15 percent annually. Please note: don’t change the temperature up or down more than five percent, because your system will have to work harder to adjust the temperature. Ceiling fans can increase the efficiency of your HVAC system during any season; however, you do need to adjust them depending on the weather. 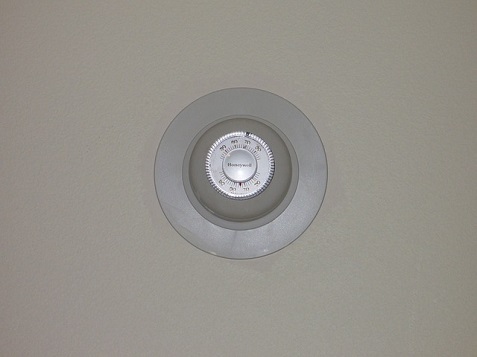 During the fall and winter, the fan should rotate clockwise to circulate warm air. This will pull the air up from the center of the room, and then move the warm air at the ceiling to the edges of the room, as well as down. This warm air movement will allow you to lower the temperatures on your thermostat. One of the best ways to educate yourself about energy savings is to talk to your HVAC technician. A HVAC technician can give the best information about the best energy-efficient steps you can take for your particular heating and cooling system. This technician can also make sure that your system is running at its peak performance, which certainly will improve its efficiency. Overall, consulting a professional can save you money and stave off potential problems.